Last Friday, we went to a pub with one of Eli 14.11s favorite goalie instructors. "What's that?" Eli asked me. 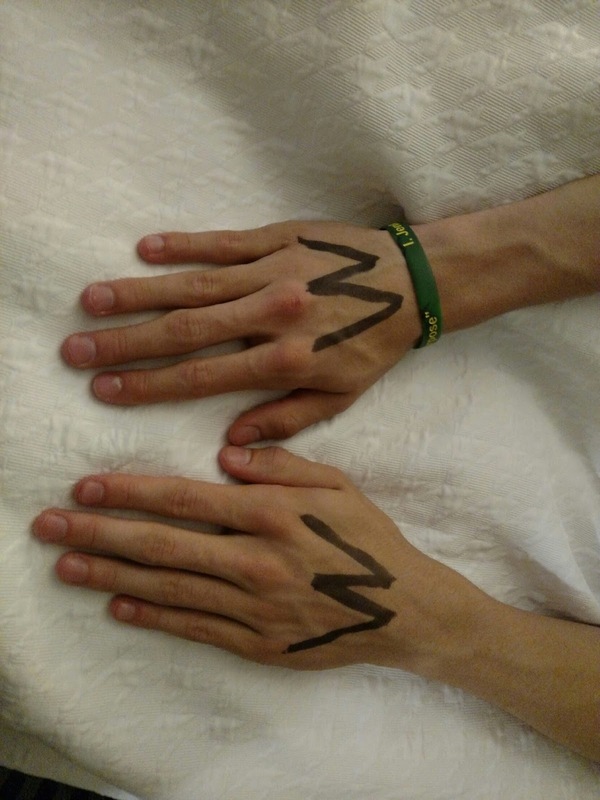 "Why did they write on my hands?" "That's 'M' for 'minor'," I said. "That's so they don't serve you alcohol by mistake." "Are you sure?" he asked. "Because I'm thinking that looks like 'W' for 'winner'."